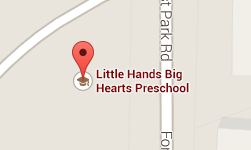 Little Hands Big Hearts Preschool is a nut-safe school. LHBH provides a nutritious midmorning snack and drink. It is the parent’s responsibility to notify LHBH if a child has food allergies or develops food allergies during the course of the school year. Daily menus are located in the classroom.